I have work in two upcoming open exhibitions at Batley Art Gallery and Tarpey Gallery in Castle Donington. Both shows start this weekend, Batley on Saturday 11th December and Tarpey on Sunday 12th December, so if you live within reach of either of these two places please go along for for a look! 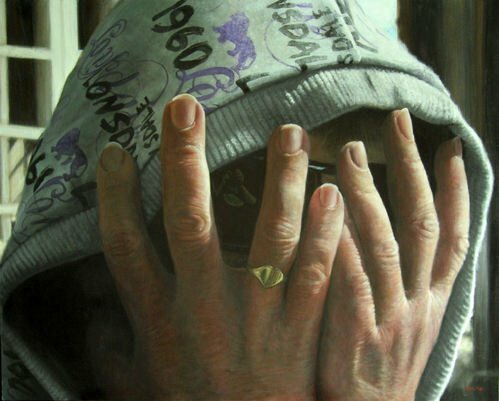 Happy Hoodie Says Hello to Mrs. Gadsby is showing at the Batley Open 2010 exhibition.